BRISBANE, Calif. – November 12, 2015 – NetEase, Inc. (NASDAQ:NTES) today announced the release of Eternal Area, a fast-paced, fantasy action RPG available now on iPhone, iPad, iPod Touch, and Android devices. In Eternal Arena, players control teams of three epic heroes, each with unique abilities, to save the magical world of Etryna from the rule of a mysterious villain known as the Master. Setting itself apart from the traditional action RPG, Eternal Arena incorporates MOBA maps and mechanics with single-player dungeons to create a dynamic storyline for players. The game delivers an ever-changing arena of combat and adventure with over 35 playable characters and customizable equipment. Players are also able to assemble teams suited for their individual play styles as they guide their three heroes to battle. Eternal Arena provides players with challenging levels, daily missions, and multiple play modes as well as the ability to connect with friends through guilds or battle in real-time ranked PvP challenges. 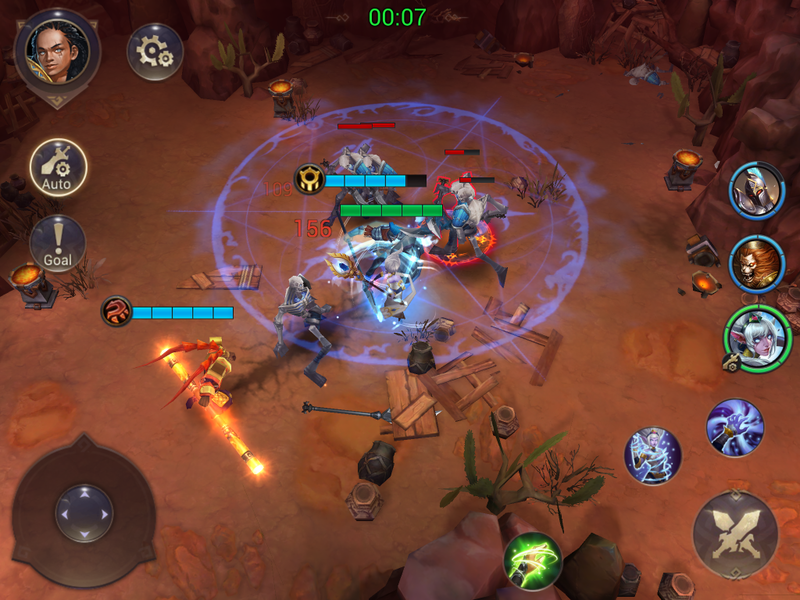 Eternal Arena is based on NetEase’s Battle to the West, a top grossing mobile game in the Chinese market, and has been rebuilt from the ground up for its Western launch. The action RPG joins NetEase’s lineup of mobile games recently launched in the US and other Western markets including Speedy Ninja, The Beautiful Dream, and Lunar Flowers. For more information about Eternal Arena and NetEase North America, please visit www.netease-na.com, join us on Facebook atwww.facebook.com/NetEaseOfficial, or follow us on Twitter atwww.twitter.com/NetEaseOfficial. Download press assets and related images here.